Full of history, charm and elegance yet completely modernised throughout to embrace the best of today's comforts is what best describes this magnificent homestead. Set on a little over 6 hectares of sub-dividable land, surrounded by mature trees, established gardens and rolling farmland, this beautiful home is looking for its lucky new owners. The wonderful home layout and grounds lend itself to be a substantial family home, function venue or perfect B&B all ready to go... the options are endless. Recently the property has had an overhaul and stands proud and elevated to capture the best views towards the eastern hills and the Tararuas to the west. Comprising of 7 bedrooms, 4 bathrooms, an incredible formal living room with gas fire and open plan dining room with the log burner. The expansive country kitchen is a delight to work in and in keeping with a property of this stature. The impressive staircase leads to the upper floor, which has six of the bedrooms, a further two bathrooms and two balconies to accentuate the romance of this lovely home. The inground solar heated swimming pool and pool house is the perfect place for everyone to enjoy in the warmer summer months. Complementing the homestead is a variety of outbuildings including stables, work shop, shearing shed and generous storage. The added bonus is this cottage which could be a great overflow from the homestead or an ideal income source with a little bit of rejuvenation. 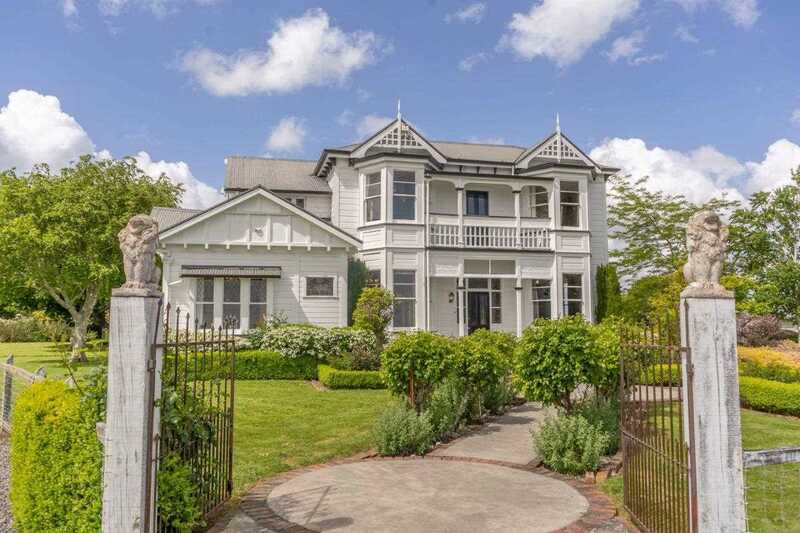 This is a unique and wonderful opportunity to secure this amazing property within a short distance to schools, vineyards and all the benefits that the Wairarapa has to offer. Call Bevan or Prue today for your chance to view.